[ Max Halbe, German 'Naturalist' dramatist. ] Typescript of an unpublished English translation of 'Youth. A Love Drama in Three Acts. By Max Halbe'. 86pp., 4to. With each of the three acts bound into separate grey wraps, with typed labels on covers. Internally in good condition, on aged paper, in worn and aged wraps. This unpublished anonymous translation predates the one by Sara Tracy Barrows, with an introduction by Ludwig Lewisohn, published in New York by Doubleday in 1916. There is no record of an English production. 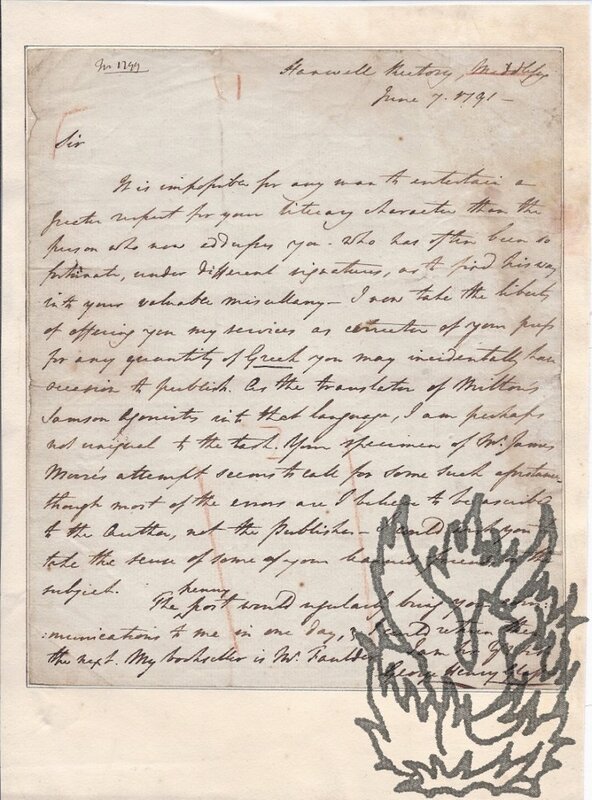 14 Autograph Letters Signed and one Typed Letter Signed from French film actor and director Daniel Ceccaldi, 13 of them to his English translator and friend Edward Marsh ('Eddy', 'Teddy', 'Edouard)', with drafts of replies and manuscript notes. Dating from between 1965 and 1981. Six addressed to 'Edward'; five to 'Teddy'; one to 'Eddy; one to 'Edouard'; one to 'Cher amis' and one to 'Dear Roger'. Totalling 22pp., 4to; 11pp., 8vo; 2pp., 12mo. Ten of the fifteen letters are dated, the other six having only month and year. With copies of two typed letters to Ceccaldi from Edward, one from 1973 in English (1p., 4to), and the other from 1980 in French (2pp., 8vo), the latter accompanied by a synopsis of Ceccaldi's 'The Flight of Icarus', with a foreword by him, and a biography (the three items totalling 4pp., 8vo); also manuscript notes (1p, 8vo; 3pp., 12mo). Typed Letter Signed to Rev. J. W. Thompson, "Brockenhurst", Birmingham Road, Walsall, Staffs. 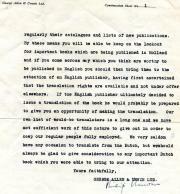 20 August 1931; on letterhead of George Allen & Unwin Ltd, Publishers and Exporters. 4to, 2 pp. Thirty-two lines. Text clear and complete. Good, on lightly-aged and creased paper. A tactful letter in response to an enquiry concerning the possibility of employment as a translator of Dutch publications. 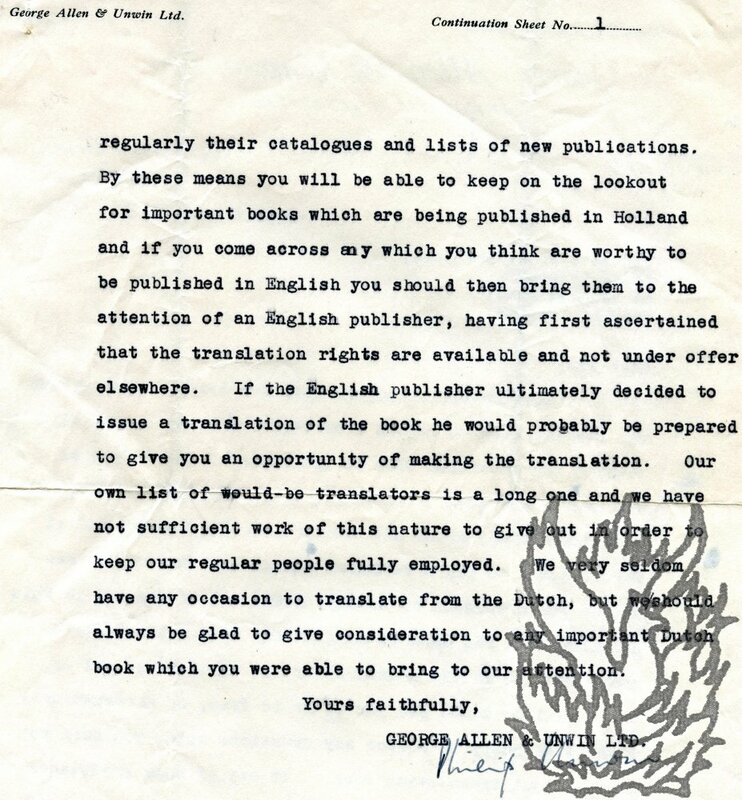 Unwins 'very seldom have occasion to translate from Dutch, but we should always be glad to give consideration to any important Dutch book which you were able to bring to our attention'. He suggests times when Thompson might be able to meet Stanley Unwin, who is travelling on the continent. Kisses, being an English translation in Verse of the Basia of Joannes Secundus Nicolaïus of the Hague, Accompanied with the original Latin Text; to which is added An Essay on the Life and Writings of Secundus. London: Printed for T. Davies, in Russel-Street, Covent-Garden, Bookseller to the Royal Academy; and sold by J. Bew, in Paternoster-Row. 1775. 8vo: 224 pp. Errata on last page. Frontispiece and portrait of the author on p.65 by Lodge. In original brown calf binding, with red label with 'Kisses of Secundus' in gilt, on spine. 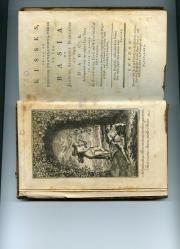 A tight copy, with the flyleaves becoming detached, the frontispiece foxed and with a closed tear at the head of the hinge, and a 4mm ink stain spreading upwards along the leaves along the bottom edge. Elegantly printed, with a four-page preface by the unnamed translator, followed by a 32-page 'Essay on the Life and Writings of Secundus'.The poems are on the versos, with the translations on the facing rectos. Dein Sternbild Leuchte Auch Uns. 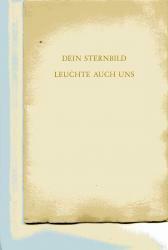 Fünf Gedichte an Nelly Sachs.' 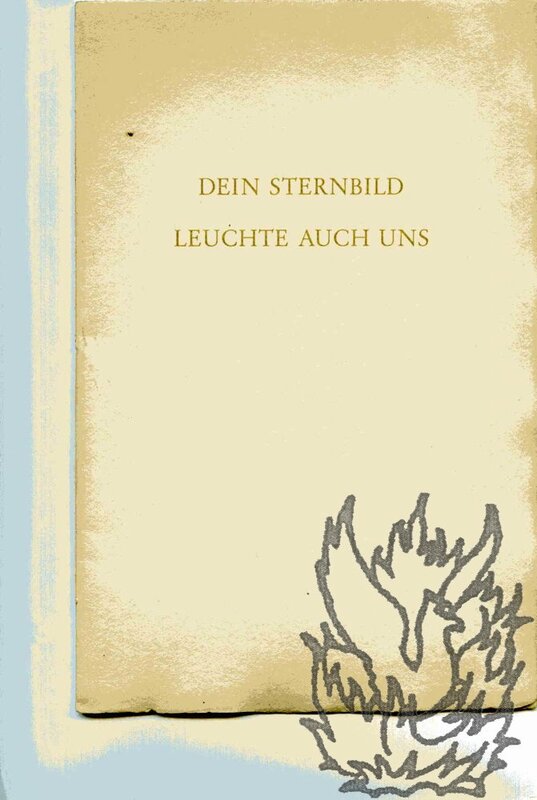 and 'Pablo Neruda Friede für die Dämmerungen'. 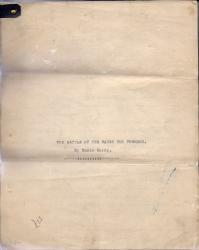 The first item dated 1960; the second undated. Printer and place not stated in either case. Item One: 'Dein Sternbild' (1960). 8vo: 7 pp. In original cream printed wraps. Stitched. 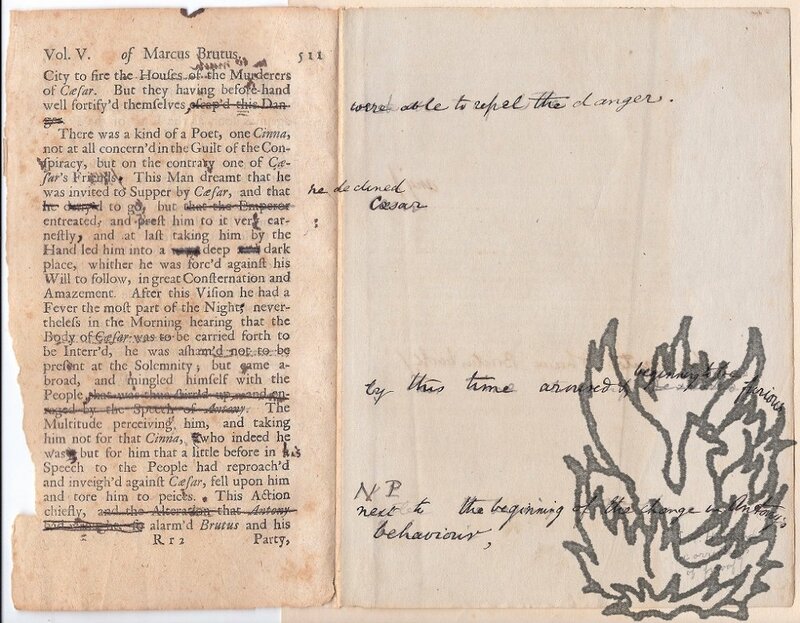 Printed on the rectos of seven leaves. Good, in slightly grubby and worn wraps. German inscription to Nelly Weiss. German poem. Nicely printed on watermarked laid paper. Item Two: 'Pablo Neruda' (undated). 12mo: 3 pp. German translation by Mohr from the Spanish. Six-line note explains the context in which the poem was translated. 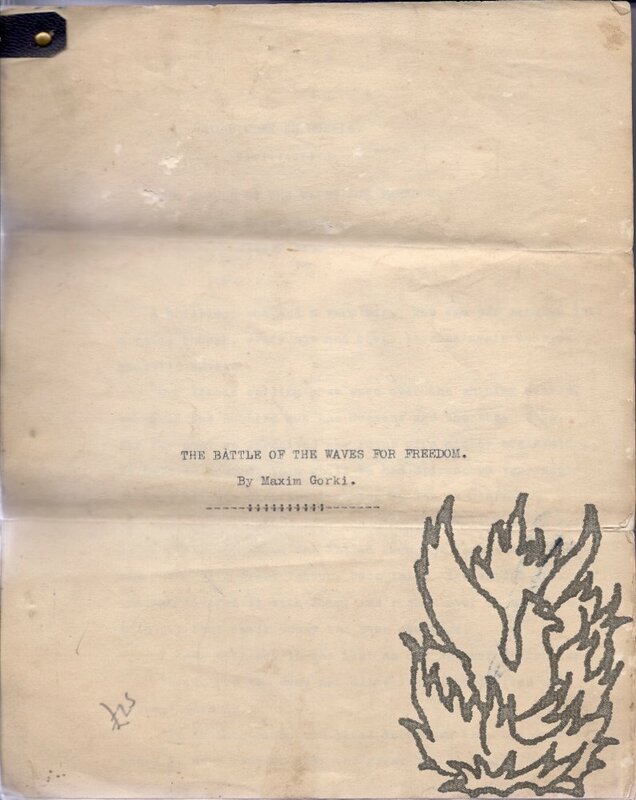 With manuscript correction and signature of Mohr. No other copy traced. Epigrams on Sappho and other famous Greek Lyric Poetesses Englished by G. R. Woodward, M.A. (sometime Scholar of Gonville and Caius College, Cambridge). Privately Printed at 48 West Hill, Highgate Village, 1931. 12mo (dimensions of leaf 12.5 x 9.5 cm): 10 pp. Stitched. In original brown printed card wraps (dimensions of wrap 13.5 x 10 cm). Edition limited to 120 copies, of which this is No. 23. Good. Five & Forty Examples of The Epigram Sepulchral turned out of Greek into English Verse by the Reverend G. R. Woodward, M.A. 12mo (dimensions of leaf 12.5 x 9.5 cm): 20 pp. Stitched. In original brown printed card wraps (dimensions of wrap 13.5 x 10.5 cm). Edition limited to 120 copies, of which this is No. 103. Good, in slightly bumped wraps. Gleanings from Ancient Olive-yards Greek & Roman by the Rev. G. R. Woodward, Mus. Doc. (Sometime Vicar of Walsingham). London: 'Privately Printed at 48 West Hill, Highgate Village, 1928'. 12mo (dimensions of leaf 17.5 x 10.5 cm): Stitched. In original brown printed card wraps (dimensions of wrap 19 x 11.5 cm). Edition limited to 136 copies, of which this is No. 100. Good, in lightly worn and bumped wraps. Greek Epigrams on and by famous Poets and Musicians Englished by the Rev. G. R. Woodward, Mus. Doc. (Sometime Vicar of Walsingham). Privately Printed at 48 West Hill, Highgate Village, 1929. 12mo (dimensions of leaf 17 x 10.5 cm): 20 pp. Stitched. In original brown printed card wraps (dimensions of wrap 17.5 x 11.5 cm). Edition limited to 136 copies, of which this is No. 4. Good. Greek Witticisms told in English Verse by the Rev. G. R. Woodward. Printed at 48 West Hill, Highate, MCMXXIX . 12mo (dimensions of leaf 12.5 x 9.5 cm): 22 pp. Stitched. In original brown printed card wraps (dimensions of wrap 14 x 11 cm). Edition limited to 120 copies, of which this is No. 14. Good, with light crease to front wrap. 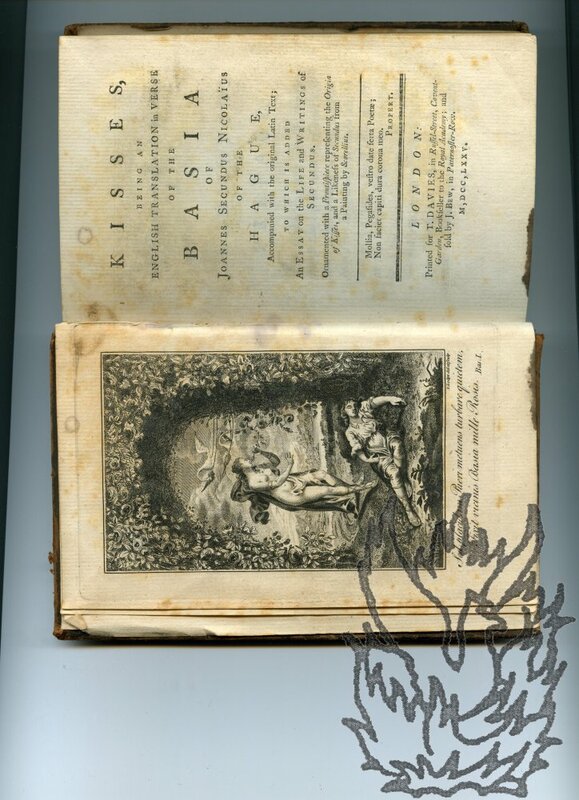 Tales of Sea-Sorrow from The Greek Anthology Englished by the Reverend G. R. Woodward, M.A. 12mo (dimensions of leaf 12.5 x 9.5 cm): 19 pp. Stitched. In original brown printed card wraps (dimensions of wrap 13 x 10 cm). Edition limited to 136 copies, of which this is No. 97. Good. The pillar of the cloud: "lead, kindly light": Cardinal Newman, 1833. A translation into Latin elegiacs. A reprint from 'Notes and Queries,' ninth series, vol. x. p. 425.; November 1902. Horton Smith is described on the title as 'K.C., M.A., late Fellow of St. John's College, Cambridge'. Attractively printed 12mo bifoliate on good quality paper, but with the blank verso of the second leaf still adhering to piece of the paper on which it was mounted. 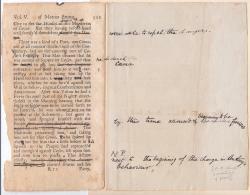 Newman's poem of 1833 and Smith's translation of 1902 facing. 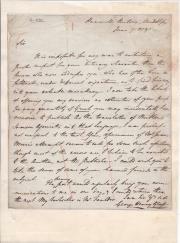 Typed Note Signed to 'Miss [Elizabeth] Harvey'. 10 June 1929; on letterhead '2, RUE BORGHÈSE | NEUILLY-SUR-SEINE'. Pseudonym of the French writer Émile Salomon Wilhelm Herzog (1885-1967), author of the first Penguin, 'Ariel'. One page, 4to. Folded three times. In good condition although creased. Signed in pencil. Written in French. He does not intend to translate 'Rouen' into English. It is not interesting enough for 'un public anglo-saxon'. He thanks her for the thought.